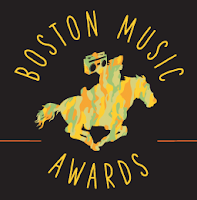 LAST NITE WAS THE BOSTON MUSIC AWARDS SWEEPSTAKES, AT THE LIBERTY HOTEL, AND ALTHOUGH WE DIDN'T WIN, WE'RE SOOOO SUPER GRATEFUL FOR ALL YOUR VOTES FOR DEAD IN YR TRACKS, AS THE SONG OF THE YEAR, THAT WE'RE GIVING YOU NOT ONE, BUT TWO FREE SHOWS FOR XMAS!!!! BOTH THIS COMING WED, DEC 11. THE WHOLE VIVA VIVA FAMILY WILL BE THERE, INCLUDING OUR NEW SECOND GUITARIST, SKYE HANDLER, AND JOE MARRETT ON BASS, WHO YOU MAY HAVE SEEN AT OUR BOSTON CALLING GIG. FIRST, WE'LL BE PLAYING A QUICK, IN-STORE SET AT THE CONVERSE STORE ON NEWBURY ST, AT 6PM. WE HOPE THAT YOU CAN COME BY AND JOIN US FOR AN INTIMATE SET, ON THE SECOND FLOOR OF THE STORE. POP IN FOR A FEW SONGS, WHILE YOU'RE DOING SOME HOLIDAY SHOPPING OR ON YOUR WAY HOME FROM WORK. THEN, AFTER THAT, WE HAVE A SPECIAL, EXTRA LONG SET AT THE FREE(!!) 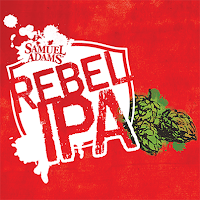 RELEASE PARTY FOR SAMUEL ADAMS REBEL IPA, THEIR NEW WEST COAST-STYLE IPA. MIDDLE EAST DOWNSTAIRS, 7PM DOORS, 21+. OUR FRIENDS, DANA WOULFE AND JOSH FALK OF STUDIO FRESH WILL BE LIVE MURAL PAINTING, AS WELL AS DEAD IN YR TRACKS VIDEO DIRECTOR, JESSE O'DRISCOLL TO VIDEO THE WHOLE JAM. IF YOU WANT TO GO, ALL YOU HAVE TO DO IS RSVP ON THE EVENTBRITE PAGE. OUR SET IS EARLY, AT 8PM, SO DON'T BE LATE! 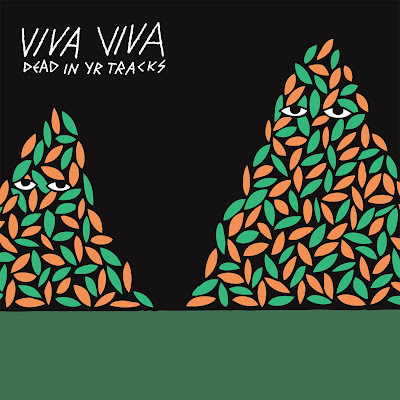 AND IF YOUR LOVED ONE'S HAVE BEEN GOOD ENOUGH TO DESERVE SOMETHING SPECIAL FOR THE HOLIDAYS, WE'LL HAVE COPIES OF OUR DOUBLE-7" DEAD IN YR TRACKS EP WITH US, OR IF YOU CAN'T MAKE IT OUT TO THE SHOWS YOU CAN ORDER THEM HERE, ON OUR MERCH PAGE. HOPE YOU CAN MAKE IT OUT ON WED NITE!! LOVE YOU ALL, HAPPY HOLIDAYS, AND A HAPPY NEW YEAR! !